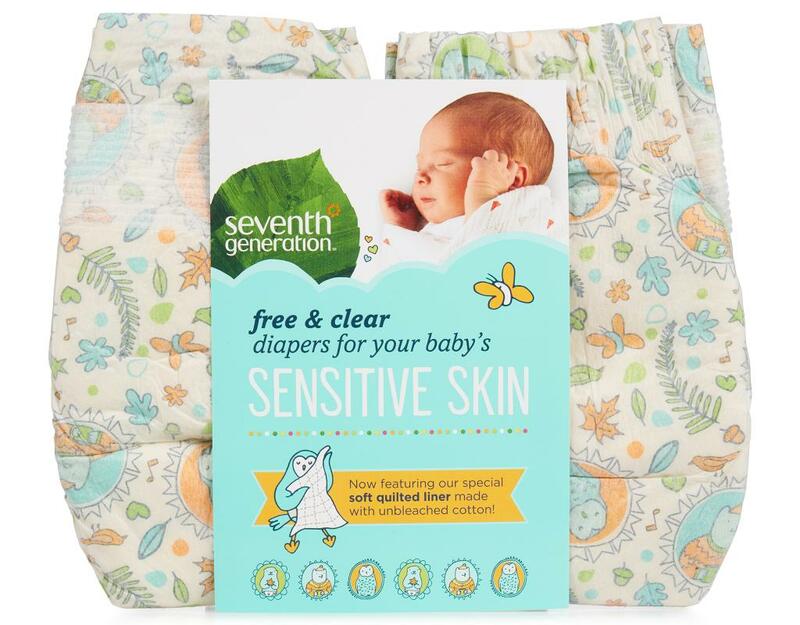 Free from fragrance and chlorine processing, Seventh Generation's hypoallergenic Baby Diapers are made for sensitive skin with no added fragrances or lotions. Same trusted diaper, new adorable designs. Seventh Generation’s safe + effective (and adorable!) diapers will help keep your baby's sensitive skin protected and dry. The ultra absorbent core in Seventh Generation diapers, made with sustainably-sourced fluff and 0% chlorine bleaching, helps prevent leaks. These diapers are designed to care for your baby as well as the health of the next seven generations. NEW! to pamper your infant's brand new, delicate skin, is an extra soft, quilted liner, made with unbleached cotton. Provide the ultimate care for your little one's sensitive skin. High-capacity core made with sustainably sourced, FSC Certified fluff pulp. Adorable Protection for All designs.